Carefully cut each walnut half into three slices, then do the same with the dates. 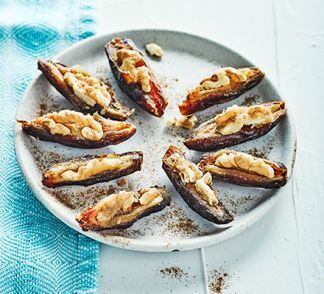 Place a slice of walnut on top of each date. dust with cinnamon and serve!